Born in Tel Aviv and now based in Los Angeles, Alon Reininger has been an active photojournalist since 1973, when he covered the Yom Kippur War for his first story. Three years later he became a founding member of the photo agency Contact Press Images. Since then he has completed assignments all over the world, often in sites of conflict or political unrest, and he has investigated a range of social issues in the United States, such as immigration and education. Reininger is best known, however, for his groundbreaking in-depth coverage of the rising AIDS crisis in the 1980s. His work played an important role in humanizing the epidemic and bringing it into view as a disease that was not simply isolated in the gay population, as was widely thought beforehand. 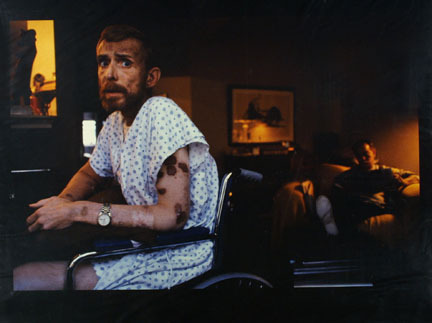 A series of images from this project were published in LIFE magazine in 1988, but one photograph in particular—Ken Meeks, Patient with AIDS, Being Cared for by a Friend, San Francisco, California — struck a resonant chord. The photographer flew to see Meeks at his home three days before his death, and in a heart-wrenching picture Reininger captures the ailing man with a haunted look on his face and lesions visible on his arms beneath a hospital gown. The picture was named World Press Photo of the Year in 1986 and became one of the emblems of the crisis. Looking back fifteen years later, Photo District News named it one of the most important images in photojournalism in the 1980s and 1990s. As Reininger has noted, however, he thought of Meeks as a single character in a much bigger story and placed the picture within a broader context. 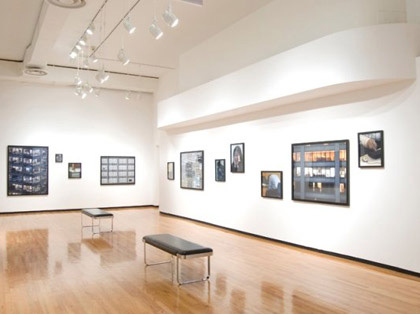 Even after the media's interest in the ongoing crisis began to wane, Reininger pushed for continued exposure.